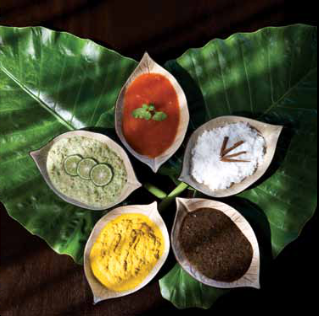 Every Banyan Tree Spa experience is an invitation to awaken the senses and refresh the soul. As the pioneer of the tropical garden spa concept, Banyan Tree Spas blend seamlessly into their environment, creating a natural sanctuary for the senses. 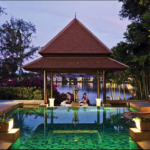 Discover some of the World’s most revered and extraordinary spa treatments at an award-winning Banyan Tree Spa. Banyan Tree Mayakoba is an idyllic spa resort on the Riviera Maya. Experience a state of deep relaxation with the spa’s special herbal detox treatment, the Salt Pot Body Massage. At the heart of this therapy is a traditional Thai salt pot handcrafted from clay; filled with Thai herbs and salt; heated and wrapped in a pouch. Using a combination of clay with herbs and salt to massage the body provides a detoxifying effect and a sense of calm. This 150 minute tension-relieving treatment includes a body and facial massage, starting with a Turmeric Lemongrass Body Scrub; followed by an herbal steam and shower; Salt Pot Body Massage and a Sesame Pouch Head Massage. Book to stay at Banyan Tree Mayakoba and receive up to USD$200 to spend in resort with the Credit goes to You package. Terms and conditions apply. The boutique-villa resort of Banyan Tree Spa Sanctuary on the Andaman Sea, is a luxury retreat where signature treatments are designed to rejuvenate all five senses. Guests can embark on a journey of wellness with unlimited massages in the privacy of their pool villa, featuring a ‘floating’ bed pavilion surrounded by a tranquil lily pond as well as a Thai Sala for dedicated spa treatments. The heritage of traditional Eastern and Western massage techniques can be experienced with the intuitive touch of world-renowned Banyan Tree Spa therapists, one example being the Asian Blend; a 60 minute massage using the palms and thumbs to improve muscular tension and circulation. Book to stay at Banyan Tree Spa Sanctuary Phuket from USD 848 net per villa per night and enjoy unlimited in-villa massages, full villa benefits including a foot bath ritual upon check in, daily afternoon high tea and a special spa turn down service. Terms and conditions apply. Banyan Tree Lang Co is a boutique, all-pool villa resort in Central Vietnam where guests can enjoy physical, mental and spiritual renewal with its 90-minute signature spa treatment, the Cajuput Healer. Locally-produced Cajuput oil, along with a selection of ingredients renowned for their healing benefits, are combined to provide a glowing complexion, replenished skin and relaxed muscles. Plump up the skin with a body conditioner made from ginger, jasmine rice, milk, Olive Oil and Cajuput Oil. Specially created for Banyan Tree Spa Lang Co, a special blend of Cajuput Oil and warm Clarity Oil is then used in full body massage to stimulate blood circulation, relieve joint pain, and soothe tense muscles. Enjoy the Night on Us package at Banyan Tree Lang Co. Terms and conditions apply. Banyan Tree Bintan, just 50 minutes ferry from Singapore welcomes guests to a special sanctuary where the South China Sea cradles a tropical rainforest. The resort’s Royal Banyan signature spa treatment is a fusion of Eastern and Western techniques providing guests with a holistic 150-minute journey into wellbeing. This treatment improves blood circulation and releases muscular tension, using an herbal pouch combined with Sesame oil, offering a delightfully warm massage; as well as a body scrub to exfoliate and moisturise using lemongrass and apple; plus a foot massage to boost circulation and eliminate tension related to stress. Culminating with a warm bath, the naturally soothing surroundings combined with this treatment create a sense of calm to ensure a better night’s sleep. Book the Weekend Getaway offer at Banyan Tree Bintan and enjoy complimentary mini-bar (non-alcoholic), daily breakfast and a 90 min session body massage at Banyan Tree Spa for two. Terms and conditions apply. Hidden in a mystical valley of Shangri-La, Banyan Tree Ringha and its authentic Tibetan charm is a special retreat for guests seeking a serene hideaway far from the madding crowd. The 120-minute signture Ringha Relief treatment is designed to rejuvenate the body and clear the mind. Inspired by local Himalayan healers, the treatment combines yoga, Chinese Tui Na, Himalayan Gui Shi hot-stone therapy, an exfoliating Indonesian spice wrap, and a jasmine-green-tea bath to help soothe and relax. Celebrate Banyan Tree Ringha’s 10th Anniversary in 2016. Book your stay and be rewarded with hotels credits of up to USD 154. Terms and conditions apply.